Brother Lock & Key – The Best Car Key Replacement Services in Redmond! Brother Lock & Key Redmond Car Key Replacement services are the most well-known locksmiths around the town. We are known for our timely and reliable services. People of Redmond know us for our commitment to our work. Locked out cars, damaged ignitions, transponder key programming, cloning your car key – are some of the many solutions we offer. Our services are available in and around Redmond 24 hours, day and night. We deliver the best locksmith services in Redmond at the most reasonable prices. Don’t worry or don’t panic, just try giving us a call this time and see if it works for you. We cater to all kinds of car locked out problems. 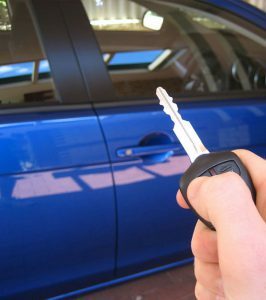 You might get your car locked out in the middle of the night, not being able to find the duplicate key anywhere, instead of wasting your time trying to open up your car with all the not so useful means available around, give us a call on 425-272-9851 and our team of experts will be there to help you with their expertise and get your car unlocked right there while you wait for them to do their job. Our mobile vans carry all the needful gear for opening up any locks or generating a new duplicate key right there. You won’t have to spend your money on towing your car to any service station, forget the highly priced agencies. Not only you will save money, you will also save time with our quick and pocket-friendly solutions. We can even get you a transponder key for your car made. It’s that simple. We believe in staying updated on our knowledge with the ever changing – ever evolving world around, and make sure our equipment are also the latest in the market making sure we give our customers the best of services at the least time possible. Ignition Giving You a Problem? Many a times ignition can chose to betray you and it just won’t get your car started, sometimes it may so happen that in your rush, you just broke your car key in two pieces, leaving one half in your hand the second half stuck in the ignition! Brother Lock & Key locksmiths have seen it all. We specialize in giving our quick solutions for such completely not called for problems. Try us! Because of Our Customers’ Safety Matters to Us! Brother Lock & Key Redmond has been the name in locksmith business since many years. We know how important the safety of our customers is. We make sure to hire only the well behaved, well-trained locksmiths with the clean background having at least 3 years of experience in locksmith world. Our employees are well behaved and customer friendly. They understand the importance of time very well, making sure not to waste any minute of it. Give us a call on 425-272-9851 for any locked out car solutions and we promise we will be there to help you!